Meeting Melanie was a real treat! Her work in India is inspiring. 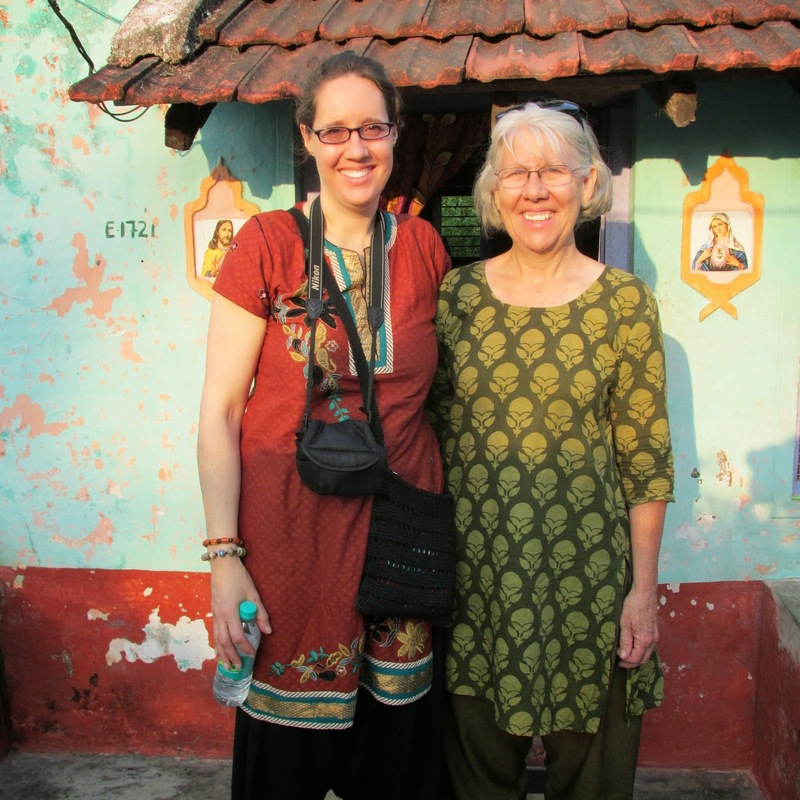 After leaving OM India 2 years ago, she told God she was finished in India. But He had more for her there. Although being there is very difficult for her, she stays out of obedience. God has honored her obedience. While we were there, we were able to get a small glimpse of how God has used her. She met Solomon Raj, a father of two boys. He was raised in a Christian home. Soon, his wife and in-laws came to know Jesus as their Savior! Solomon is a business man who wants to empower women in their work. His parents live in the Leper Colony, where he grew up. With the help of Melanie, he bought a piece of land and has 12 women working under him. The ladies are 2nd and 3rd generation weavers. They primarily make purses and bags. placemats, coasters, table runners, and trivets. The ladies currently work on the patio of Solomon's parents. Solomon has hopes of building a workshop on the land he owns. The downstairs will be where the ladies can weave. The upstairs will be a home for he and his family. Solomon is a remarkable person. He has a vision to create jobs and help people. During our time there, we learned much from him. He was hospitable and a fabulous tour guide. We are thrilled to partner with Solomon and Village Hands - the 12 ladies in the Leper Colony. Right now, we only have zip bags that they have made. But soon, we will have the other products they are working on. 50% of everything we sell that is made by the ladies will go directly to the cost of building. and thankful to partner with a new artisan group that is empowering women!